Lauren Rass, Pharm.D., a PGY1 pharmacy resident, (center left) and Lynsey Neighbors, Pharm.D., BPCS, RPD, counsel a patient. A KEY ELEMENT of advancing pharmacy practice—and a recommendation of ASHP’s Pharmacy Practice Model Initiative—is the expansion of pharmacists’ duties to include writing medication orders. At the Central Alabama Veterans Health Care System (CAVHCS), which serves more than 134,000 veterans in a 43-county area of Georgia and Alabama, the clinical pharmacy team has achieved this goal through a 10-year evolution. What began with protocol-driven care in anticoagulation management has expanded into broad scopes of practice across a range of diseases and conditions. Pharmacy practice at CAVHCS now includes not only medication management, but prescribing privileges, in person and on the telephone. Expanding pharmacy practice in a health system requires strategy. When a system-wide evaluation revealed that CAVHCS wasn’t meeting its goals for lipid management, pharmacists saw an opportunity to showcase both their training and their clinical competency. “We thought lipid management would be fairly easy to sell to management because it’s less risky than other practice areas,” said Addison Ragan, Pharm.D., BCPS, GCP, clinical pharmacy program manager. In 2002, the system opened a lipid management clinic where pharmacists had prescribing privileges under a protocol, and it wasn’t long before physicians throughout the system took notice. 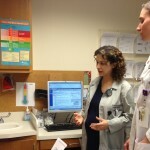 “The primary care providers loved it, and they referred patients to us across the hospital setting,” said Ragan. The following year, pharmacists moved into managing dyslipidemia in diabetes, again, under protocols. 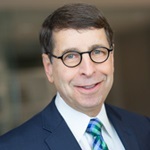 After the VA’s national clinical pharmacy leadership released guidance on dyslipidemia and diabetes and field guidance advocating broad scopes of practice, CAVHCS pharmacists worked closely with endocrinologist Neil E. Schaffner, M.D., meeting with him weekly for a roundtable discussion. The rapport that the team developed with Schaffner would later prompt him to become a physician champion for pharmacist-provided care. Lynsey J. Neighbors, Pharm.D., BCPS, trained with Dr. Schaffner. “He was somewhat skeptical of pharmacists stepping into this role at first, but after working with other pharmacists and later myself, he realized what pharmacists could do,” she said. Ragan knew that if CAVHCS pharmacists wanted to work under broad scopes of practice, they would have to demonstrate their competency in quantifiable ways. The team developed competency checklists and professional practice evaluations to determine pharmacists’ knowledge and ability. She also implemented a mentoring process to improve performance as necessary. Under this system, pharmacists evaluate their peers every quarter. When the time came to ask for expanded scopes of practice for several pharmacists, Ragan presented the evaluations to the administration, and Schaffner wrote a letter attesting to the pharmacists’ clinical competency. With such evidence before them, the administration saw fit to grant Ragan’s request. Now, pharmacists have expanded scopes of care that allow them to prescribe and manage medications for anticoagulation, diabetes, dyslipidemia, hypertension, pain, hypothyroidism, osteoporosis, and gout, with more opportunities on the way as Neighbors dives into the world of hepatitis C management. Expanded scopes of care and increased pharmacist involvement in direct patient care have been time-savers for physicians and patients alike. “Pharmacists now titrate insulin, do follow-up, work with insulin pump patients, and handle the day-to-day management of diabetes that doesn’t always fit into a physician’s schedule,” Neighbors said. She is currently training other pharmacists to take on these new roles in diabetes care. Other pharmacists are currently handling aftercare for heart failure patients. The pharmacists meet the patients in shared appointments with cardiologists. 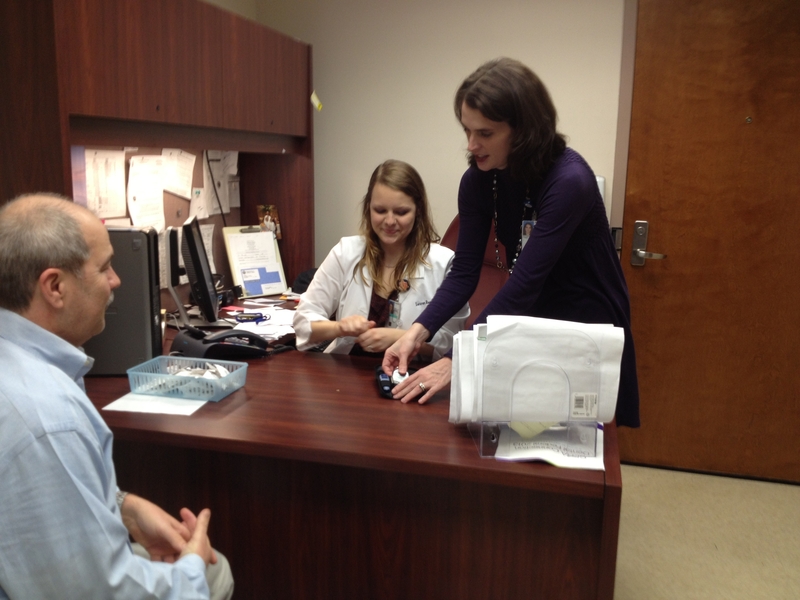 From there, the pharmacists follow up via telephone to discuss medications, blood pressure, and post-discharge care. Pharmacists with this expanded scope of practice have prescribing privileges that allow them to adjust medications based on the cardiologists’ goals for treatment, particularly with respect to diuretics. “We’re hoping that, by having pharmacists engaged in diuretic management, we will be able to prevent readmissions,” Ragan said. Pharmacist follow-up via telephone has been a boon to patients, many of whom live in rural areas and must travel as far as 80 miles to come to one of the system’s facilities. Patients aren’t charged for the pharmacists’ telephone calls, so the saved time translates into saved money, as well—enough so that the team is now testing a video telehealth program. Pharmacy practice continues to expand at CAVHCS, Ragan added. In November 2010, more than 150 pharmacy leaders convened in Dallas at ASHP’s PPMI Summit to determine what pharmacy practice in hospitals and health systems should look like in the future. Summit attendees reached consensus on recommendations to advance practice, emphasizing pharmacists’ accountability for patient outcomes, advanced roles for pharmacy technicians, and the use of technology to improve medication safety. ASHP’s new Center for Pharmacy Practice Advancement,which launched in October 2012, is managing ASHP’s myriad efforts and activities to effect practice change as part of its PPMI. B13. As an essential member of the health care team, pharmacists must have privileges to write medication orders in the health care setting. To see a case study on their experience,click here.